The Aurora condos at 17550 Collins Avenue in Sunny Isles Beach will be a seventeen story, mixed-use mid-rise with the top thirteen floors designated for 61 condos ranging in size from 1,500-2,100 square feet. The ground floor will offer commercial space and floors two and three at the Aurora are designated for parking. The two and three bedroom units averaging 1,600 square feet will start in the low $600s per square foot, with the average condo being priced just under $1 million, which is about half the cost of an older oceanfront condo across the street. Spectacular Aurora penthouse condos will be available as well. The building was shifted 23 degrees to offer ocean views from every unit – through the opening between the Pinnacle and Chateau Ocean condo developments. The architectural design of the Aurora incorporates a sculptural wall consisting of imaginative and symbolic wave-shape punctured panels inspired by the ocean waves. In this way architecture is tied to nature in a cohesive artistic piece visible from its surroundings. The Aurora will also feature a mikveh, a bath used for the purpose of ritual immersion in Judaism. 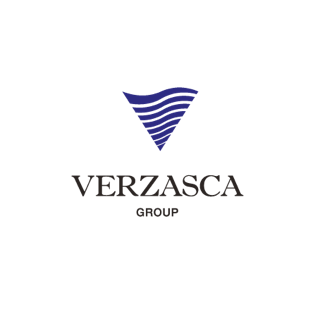 Verzasca Group is a privately held firm with direct handson experience in the acquisition, development, financing, operation, and marketing of residential and commercial real estate. The firm was created in August 2014 by former NHL star Darius Kasparaitis alongside finance and real estate professionals Gennady Barsky and Tim Lobanov. Verzasca’s commercial and residential projects draw from and enhance the best of each community, using materials of the highest quality and relying on the industry’s finest architects, designers, landscape artists, and craftsmen to deliver modern beauty and simplicity at a tremendous value.